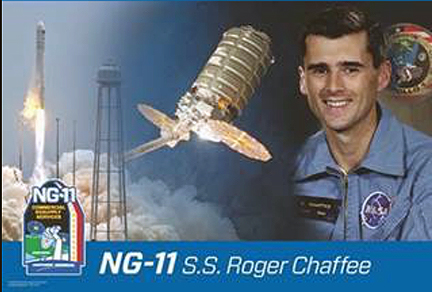 Northrop Grumman is honored to name their NG-11 Cygnus spacecraft after astronaut Roger B. Chaffee, as it is the company’s tradition to name each Cygnus spacecraft after an individual who has made a significant impact on the aerospace industry. Chaffee, and crewmates, Virgil “Gus” Grissom and Ed White II, were selected by NASA to fly on the first manned mission of the Apollo spacecraft. Unlike his crewmates, Chaffee had not yet been to space. Sadly, before his dream of orbiting the Earth could be met, all three crew members died tragically during a launch pad test of the spacecraft. Although Chaffee never made it to space, his sacrifice inspired fellow and future astronauts to push the boundaries of spaceflight. In the 50 years since the Apollo 1 crew’s tragedy, Americans have visited the moon, built a home on the International Space Station and begun to plan extended trips through deep space to Mars. Northrop Grumman is proud to celebrate the life the Roger Chaffee and his dream of human spaceflight. Northrop Grumman’s Antares rocket is scheduled to launch the company’s Cygnus cargo spacecraft to the International Space Station on April 17 at 4:46 p.m. from the Mid-Atlantic Regional Spaceport Pad 0A on Wallops Island, Virginia, at NASA’s Wallops Flight Facility. 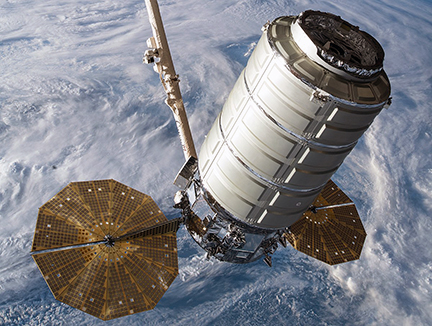 For this mission, Northrop Grumman will showcase a number of new capabilities, including late load operations and a solo, long duration flight for Cygnus.